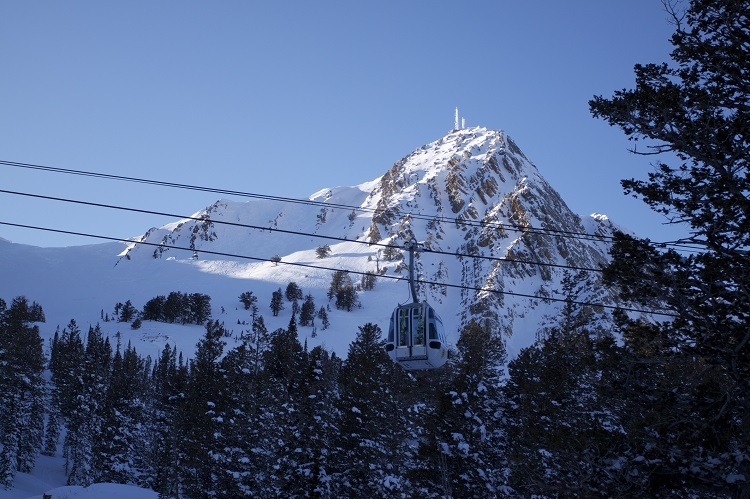 The 2015-16 season marks the 75th anniversary of the Ogden Snow Basin Winter Playground. 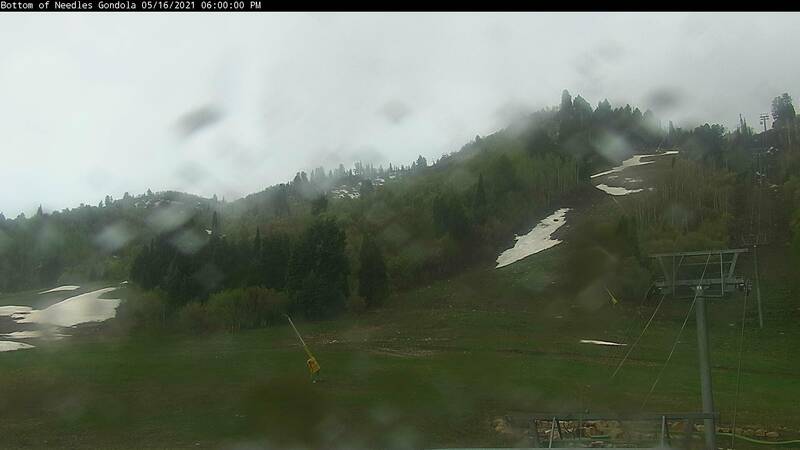 Snowbasin Resort was built on the hopes and dreams of local skiers and the City of Ogden, Utah. Believe it or not, it took six decades and five ownerships to bring Snowbasin Resort to its current grandeur and there is still plenty of acreage to grow into. Hello, my name is Kyle Ross. Over the next five months I'm going to share with you the history of Snowbasin Resort. 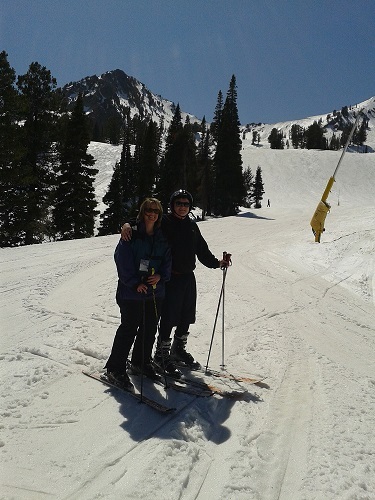 I have a great interest in local history and have been skiing the local slopes for the past 38 seasons. 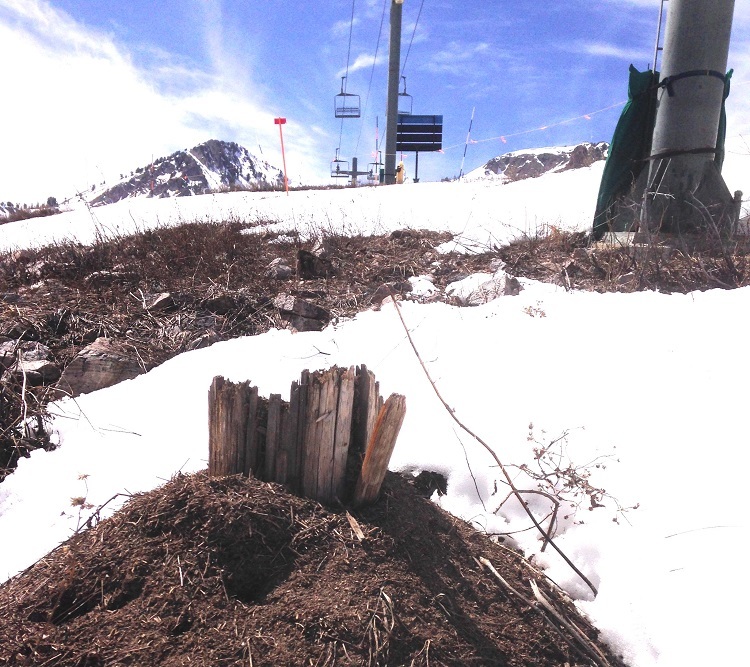 I spent last summer collecting photographs and stories from local legends, researching old newspaper articles, hiking all over Snowbasin Resort and searching for what I call "Ski-Archeology" (old lodge foundations, previous lift remains, and other historical goodies). Snowbasin Resort is rich with history that I look forward to sharing with you over the next few months. 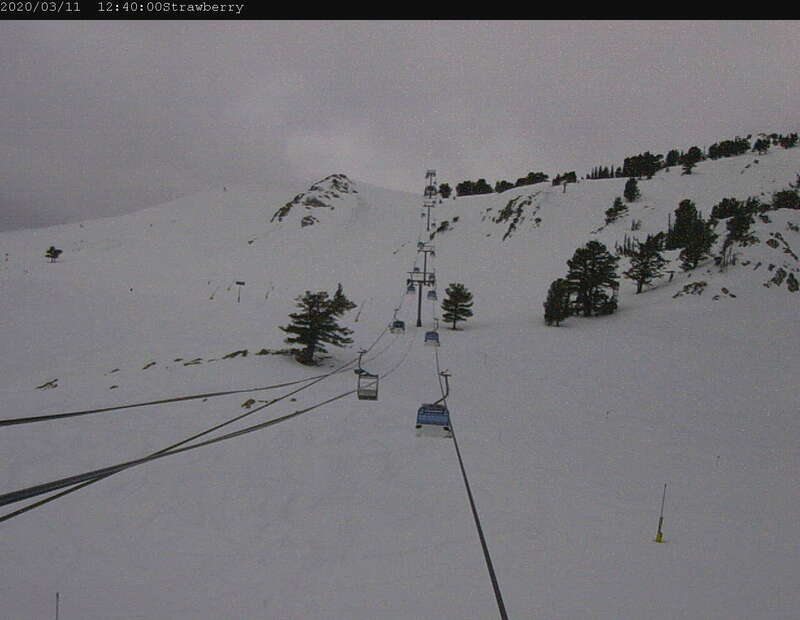 Put on your skis or board and get ready for some awesome historical runs. The 75th Anniversary History Blog will be laid out by decade - late 1930's thru the 2010's. It will be posted bi-weekly... and sometimes weekly --depending on the subject. There will be many photos posted and even a link to additional photos. 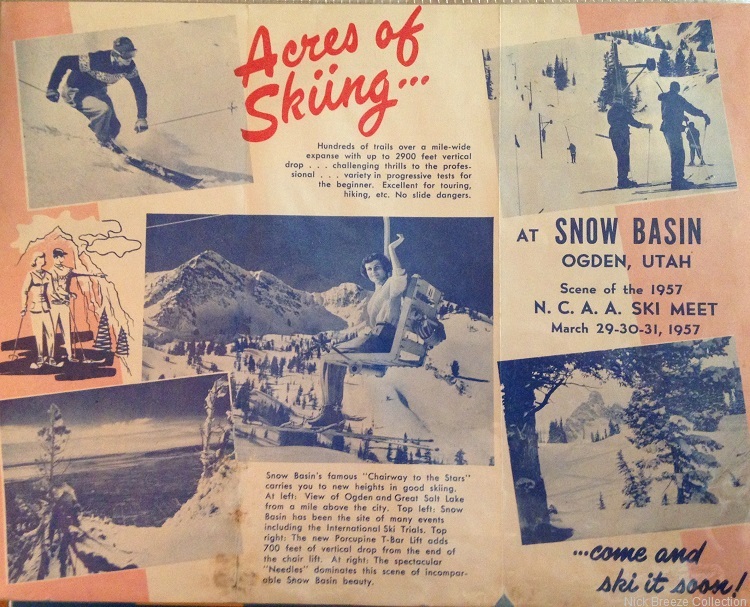 Skiing becomes popular in Ogden: In the 1930’s skiing had become an interest to the locals, partly due to the ski jumping competitions at Becker Hill in Ogden Canyon which was located near Wheeler Canyon. There was even a ski jump constructed in the foothills above 27th street that was used for jumping compitions in the early 1930’s. Ogden also boasted a lit ski hill in Burch Creek Hollow north of where the old Ogden Airfield was located. For a great book on the history of ski jumping and the Engen family's envolvement in early Utah skiing, see: For the Love of Skiing, A Visual History. By Alan K. Engen. Gibbs-Smith Publisher. Wheeler Basin was named after Levi and Simon Wheeler who operated a Saw Mill which was built in the 1850’s. Later the area was owned by the Ostler Cattle Company. Over many years of Cattle & Sheep grazing, along with timber stripping, the Wheeler Basin area became heavily overgrazed which caused a devastating amount of erosion. Whenever there was heavy rainfall the debris from the erosion would wash down Wheeler Creek into the Ogden River which would then pollute the drinking water for Ogden City. The local citizens demanded something be done about the river pollution. A lawsuit was opened for the condemnation of Wheeler Basin. After Wheeler Basin was condemned, the land was purchased by Ogden City. The Wheeler Basin Watershed was then formed to protect the drinking water. 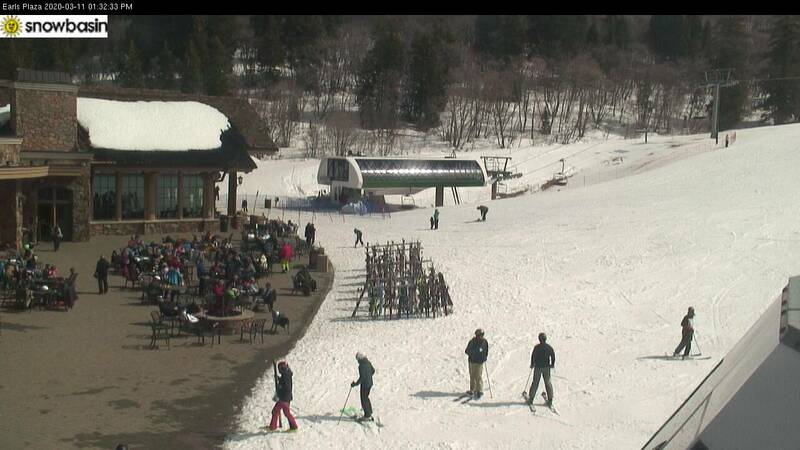 The Ogden Ski Club was a major factor in the push to have a local ski area built. 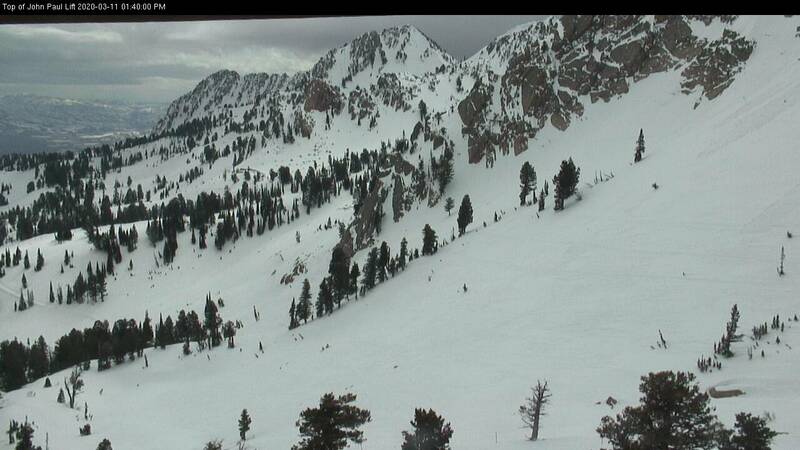 The Ski Club, which was formed in 1937, thought that the backside of Mount Ogden Peak would be a great location. The Ski Club contacted the Forest Service and convinced them to investigate the area known as Wheeler Basin to see if it was a feasible site. 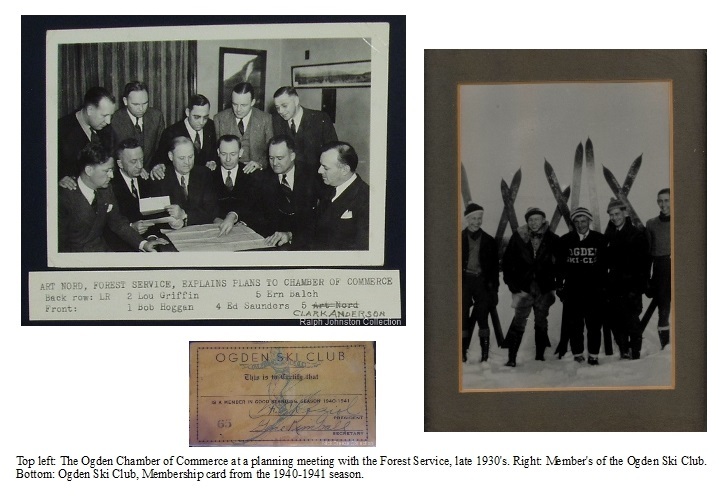 The Ogden Ski Club had a critical role in the development of the area. 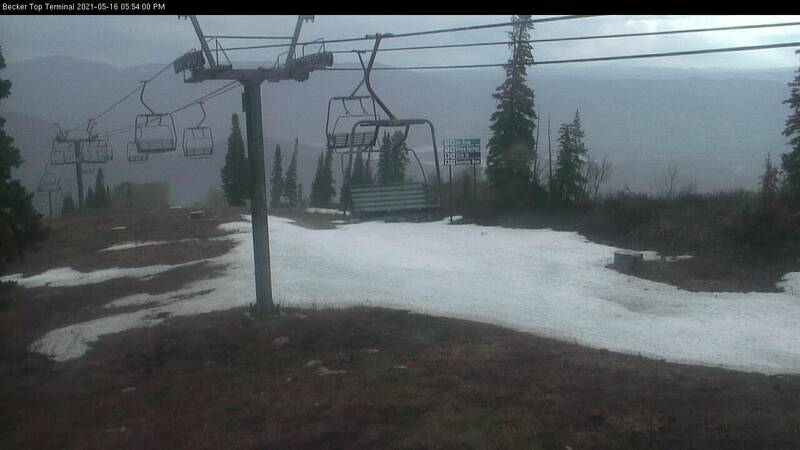 Later they would change their name to "Snow Basin Ski Club". The next step was for Ogden City to donate the Wheeler Basin property to the Forest Service. The reason for this was the Forest Service was better equipped to maintain and protect the area for summer and winter recreation. Ogden City commissioner, Edward T. Saunders, served as the liaison between the City and the Forest Service. Commissioner Saunders played an integral part of the creation of Snow Basin. Saunders worked diligently through 1940 and then on October 13, 1940, 1480.80 acres of land was officially accepted by the United States Government. Click on the link below to view the next entry from the 75th Anniversary Blog Series. I would like to thank the following for taking the time to meet with me and share all of your great stories, priceless memorabilia and amazing photographs: Nick Breeze, Alan Miller, Boyd Crawford, Don Wilson, Mel Sowerby, Bobbie Chambers and Jeff Montague from Alpine Sports, Gary Nate, Doug Wewer and Judy Blackner. Thanks to all of you who have taken the time to dig out those old photographs and share them with us: Larry Jensen, Doug Wewer, Michael Owens, Joel A. Hardy, Bob Kilburn, Jodi Van Ormen, Craig Bankhead, Amy Peters, Linda West, Mary Ann Gardiner Francis, Sandra Ross Shupe. The Ralph Johnston Collection at the Weber State University Archives has been a wealth of knowledge and we appreciate Ralph for everything he did for Snowbasin Resort. I would like to acknowledge Alan Engen and his book "For the Love of Skiing". Alan's father, Alf Engen, who I personally consider "The Godfather of Utah Skiing" along with his brother Corey and Sverre, helped setup and were the first to manage and operate Snow Basin. A big SHOUT OUT to Samantha Kase for giving me this opportunity. And I'll save the best for last... Thanks to my wonderful wife, Elizabeth, for putting up with me this past year and helping with great ideas and editing. I couldn't do it without you.